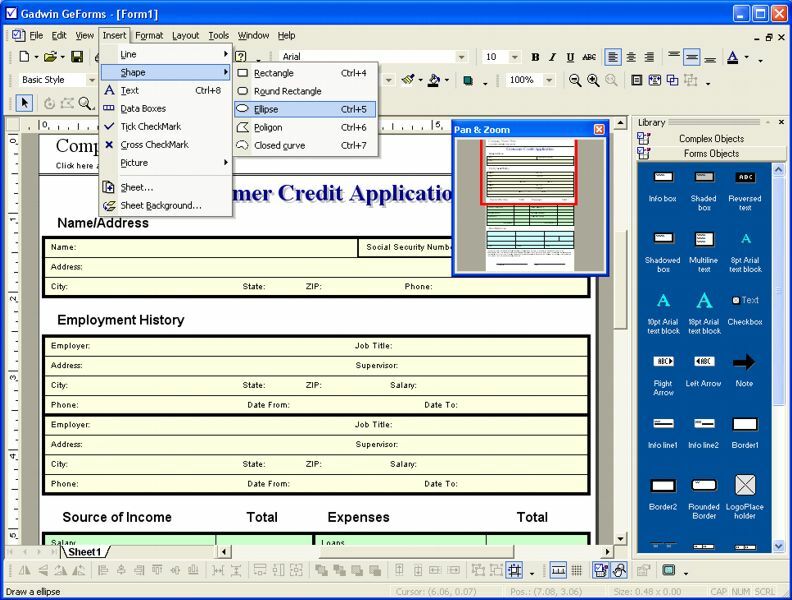 form,formfillingsoftware,formmaker,formdesign,formfilling,businessform,electronicforms,fillinform,filloutform,eForm,pre-printedform,businessformsoftware Software for creating a variety of personalized office stationeries and forms. GeForms is software that can be used for creating a variety of personalized office stationeries and forms. Forms are an invaluable tool for collecting the information needed to run today's businesses, even in some households, and of course our many government agencies. Of course, we will not eliminate paper forms in the near future, but electronic forms enable the user to fill them out more effectively. And GeForms is the easiest, best way to create or fill electronic forms! The program provides sophisticated form design tools, which allow you to create forms from scratch or edit and enhance forms created from a template. GeForms also allows you to visually fill out a pre-printed form and print it. Take any paper form, scan it with GeForms. You've got an electronic form that you can fill out right on your computer screen!